May 6, 2013 marked one year since I published the first blog on Shoeful of Drool. I had been thinking about a blog for awhile and the title of the blog came to me years ago when the dogs would drench my shoes as I scooped the dog food into their bowl. The impetus to go ahead and start the blog that weekend was I didn’t want to dust. Between taking care of Dudley (and Zoe up until 2011), working full time and carrying 9 hours each of the last three semesters of school, dusting was at the bottom of things I needed to do. I have a cavalier attitude toward dusting, putting it off for a few days is no big deal since it’s only a few days before dust noticeably begins to accumulate again after I do dust. So, I figured writing about my wonderfully amusing dogs was a legitimate reason to let dusting wait for another day. Dudley had just blown out his knee a week or so before I wrote that first blog and Zoe had gone to the Rainbow Bridge about 10 months earlier. Even though Zoe was not here physically, I knew her escapades would be part of the Shoeful of Drool stories. Writing a weekly (well usually) blog and taking pictures of Dudley helped me chronicle the deterioration of Dudey’s mobility. Writing the blog helped me answer questions whenever I took him to the vet and it let me know when the time was right to let go of Dudley. 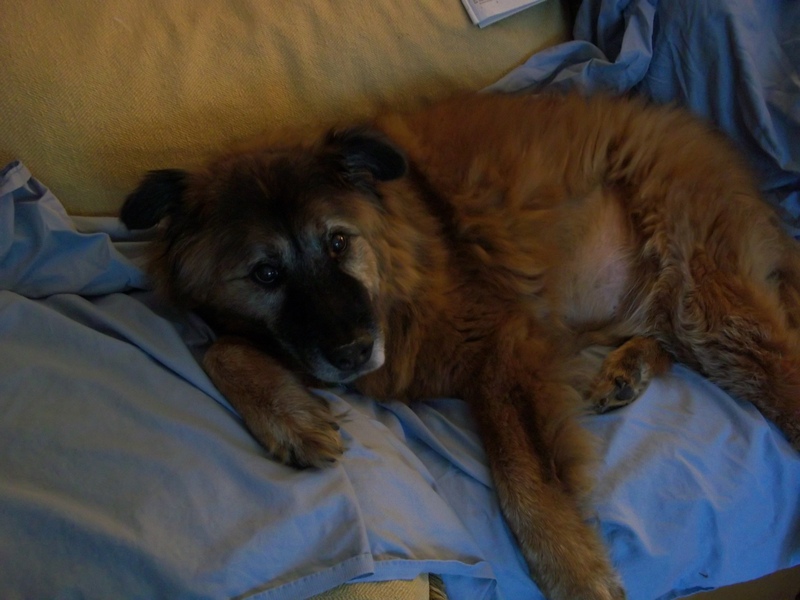 It’s also been comforting to go back and read what Dudley and I were doing last year and the 13+ years of memories of him and ZoeGirl that it conjures up. 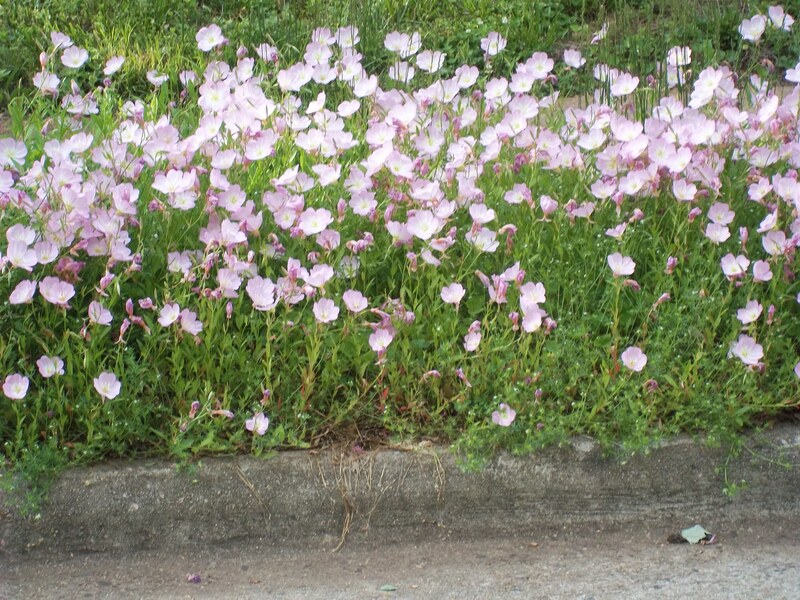 I was driving out of the neighborhood last week and noticed the Pink Petticoats were in bloom (thanks to Carlin for letting me know these flowers were called Oenothera) on the street Dudley and I walked each day. Dudley would always pause when he came upon the flowers and sniff for awhile before he peed. I remember thinking he looked so beautiful with his cinnamon fur in the pinkish/purplish flowers and I needed to take a picture him in the flowers. I never took that picture. I always had an excuse not to take the camera — I was already carrying keys and poop bags while walking Dudley on a leash and that was about all I could handle. I will regret not getting that picture (and a million more) until the day I die. Take all the pictures you think you should and then take more. One day you will be grateful you did. This entry was posted in Uncategorized and tagged animals, canine, dogs, Dudley, Oenothera, walking. Bookmark the permalink. 6 Responses to Happy Anniversary! For sure on the pictures. 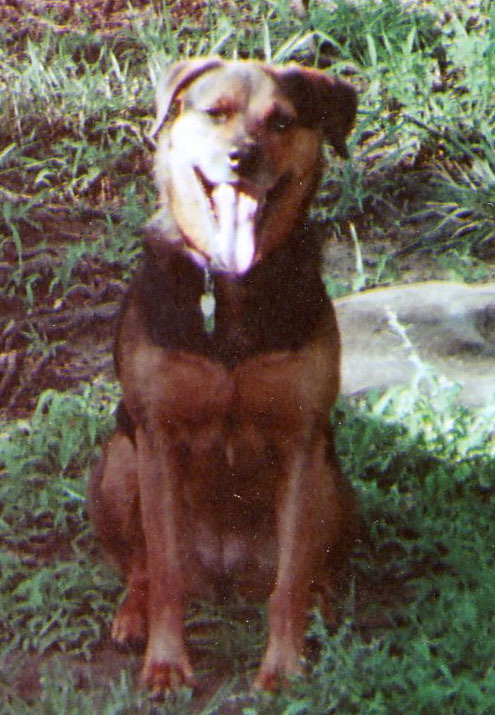 Wish I had more of my girl Ginger and the most unusual and cantankerous kitty I have ever knwon, my dear departed Ming….. They made my life interesting and full. Miss them both each day. I hope Ginger, Dudley and Zoe are hanging out together as Ming looks on disdainfully. Oh, and Ming would look at them both with disdain, but darn, Ginger and Dudley and Zoe all had matching auburn highlights and I bet they are hanging together! I miss Dudley’s nose peeking through the fence for a few seconds to get a sniff before letting out some warning barks. Can’t believe that it’s been a year already. Miss him and Ms. Zooey! Dudley listened to you way better than he listened to me and Zoe loved to come visit the next door neighbors. My mommy loved this post, and now I understand why she’s always taking pictures of me with that crazy camera . . . and I forgive her.